The publication of this book brings to fruition an exciting and ambitious project recording the architecture of La Borsa, its works of art, its history and the people who have played a leading role in shaping its destinies. The Malta Chamber of Commerce, Enterprise and Industry has been led by a succession of prominent exponents of commerce and industry. 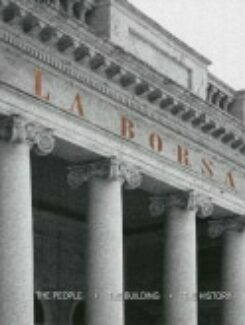 La Borsa includes unique personal accounts by past presidents and persons who have over the years worked closely with the Malta Chamber. The book is edited by Judge Giovanni Bonello and numbers among its authors well-known historians, art historians and a leading architect. It also contains an impressive portrait gallery of past presidents, a photographic essay of the building and its art collection.